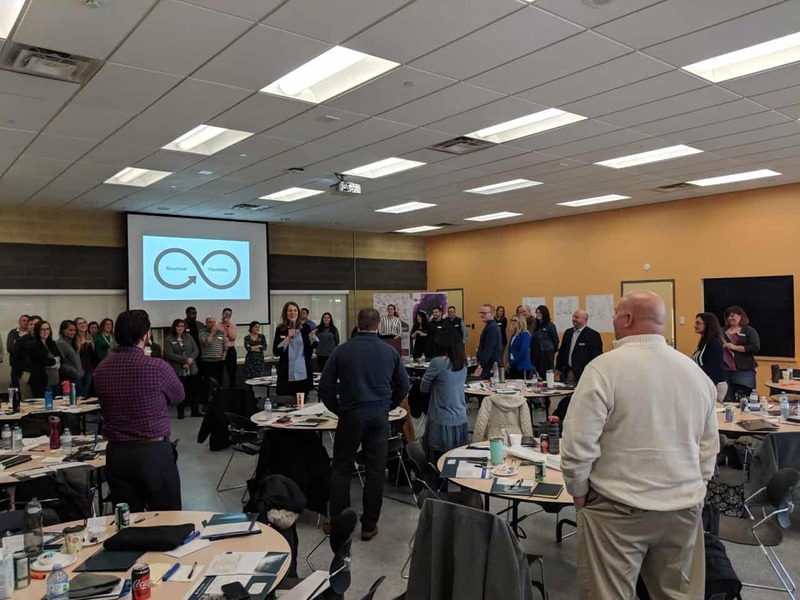 On March 15th, 2019, leadership programs in both the USA and Canada met in Niagara Falls Canada’s Gale Centre. 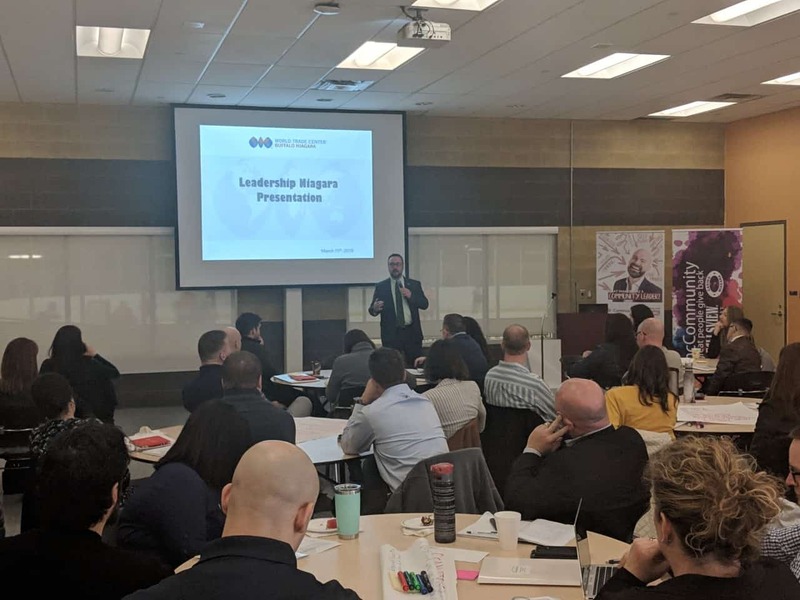 Leadership Niagara Canada and Leadership Niagara USA have been working together since 2011. Fostering a greater understanding of cross border issues and broaden bi-national collaboration between leaders from both countries. 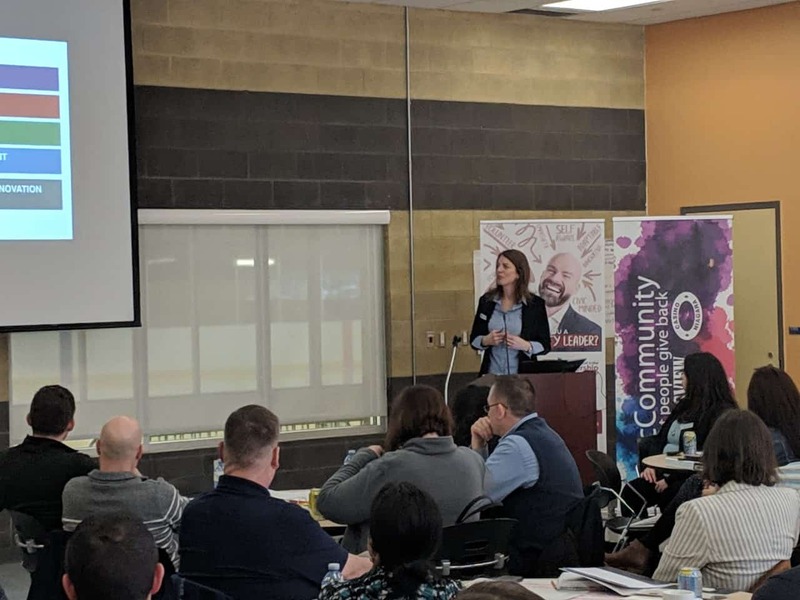 Jodie Middleton, with Leadership Niagara Canada, led a morning exercise. During, blended groups discussed the similarities they shared, drawing up a list then presented to the larger group their findings. President of the World Trade Center Buffalo Niagara (WTCBN), Craig Turner shared how his organization fosters the growth of businesses and people in their community, and worldwide, through international trade. The barriers they have come across, in regards to trade between our two countries, and what the future holds for WTCBN. Next, Owner of Arrowhead Springs Vineyard Robin Ross presented, highlighted the history on the wine industry in the region. She showcased the differences in taxes, incentives and tariffs between Canada and the US. Drawing from her own experience, she navigated the wine tourism industry, specifically comparing the differences of support from government. Robin and Craig then broke the cohorts into small groups. Each group being given a case study to analyze and discuss, coming up with an innovative solution for each study. After breaking for lunch, Claudia Vale with Leaders for Leadersgave a workshop on Polarity Management. She helped Identifying, Diagnosing and Leveraging tensions in team dynamics with our group. Finally, our PAC team members, Holly Catalfamo and Jodie Middleton, brought it all together. They led our groups to improve the dynamics of the larger team In a group bonding exercise. Finally, special thanks to Casino Niagara for sponsoring our Bi-National day this year. Without the contributions and support of community members who believe in creating positive change like you, our program would not be able to provide opportunities to expand our knowledge and reach beyond our region. Interested in learning more about our programs or in having members of your team participate? Take a look at our program opportunities here. Employers could be eligible to save up to 70% of tuition costs! Find out how!